With two great friends getting married, I wanted to find a way to help where possible. 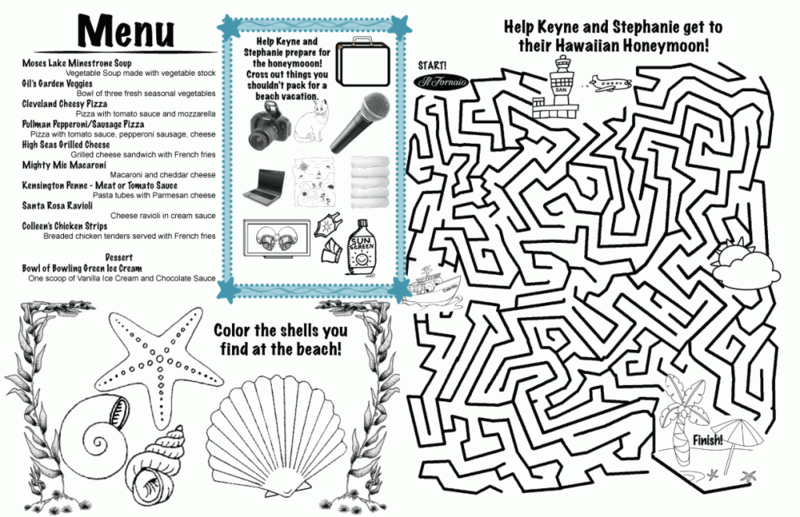 I designed invitations, RSVP cards, programs, place markers, and even kids menus for the wedding. Since the wedding would be on the beach in Coronado, CA, the designs revolved around travel and beach destinations. 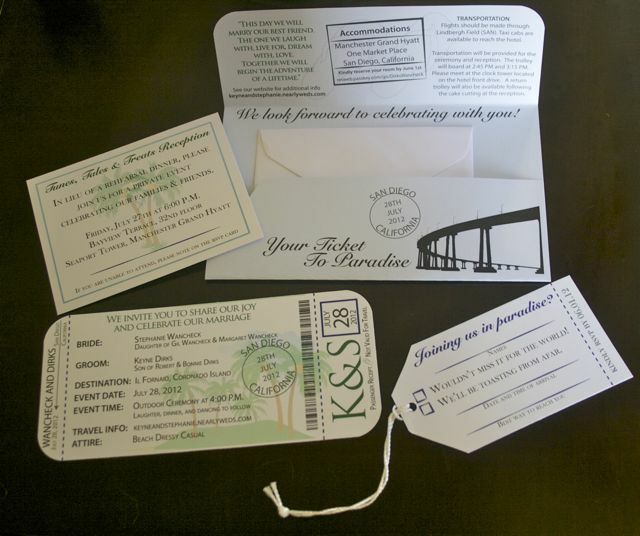 Invitations were designed like older plane tickets, delivered in a notched envelope and with luggage tags as RSVP cards.